A redox reaction is a chemical reaction that involves reduction and oxidation that occurs simultaneously. 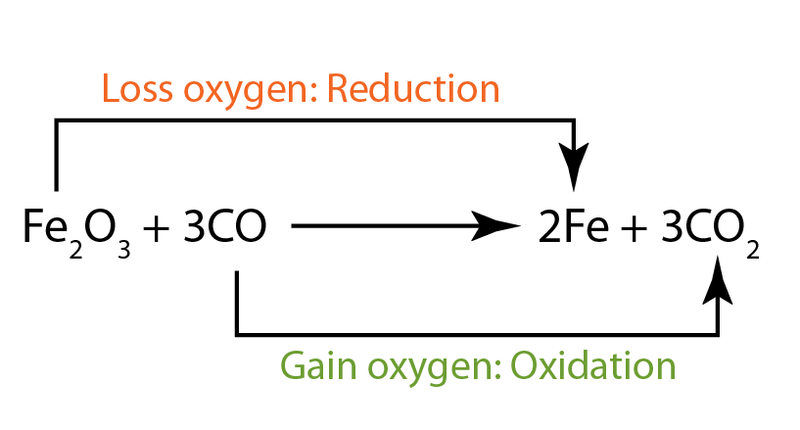 In a redox reaction, both reduction and oxidation are going on side-by-side. 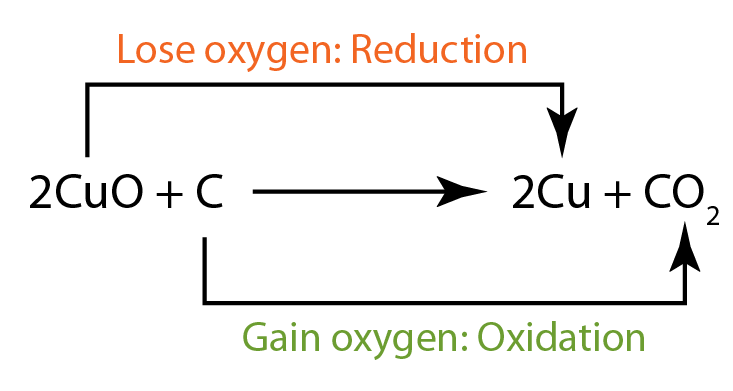 In a redox reaction, a compound that is reduced is the oxidizing agent. An oxidising agent is a substance which oxidises something else. Inversely, the compound that is oxidised is the reducing agent. A reducing agent reduces something else. In this reaction, iron(III) oxide is reduced. Therefore it is the oxidising agent. It has oxidised carbon monoxide to become carbon dioxide. The carbon monoxide is oxidised. Therefore it acts as the reducing agent. It has reduced iron(III) oxide to become iron metal. copper(II) oxide is reduced, hence it is the oxidising agent. carbon is oxidised, hence it is the reducing agent. Inversely, a compound that is oxidised is the reducing agent. A reducing agent reduces something else. Ionic equation of a redox reaction can be formed from the half equations of the reaction. When writing the ionic equation, make sure that the number of electrons in both the oxidation reaction and reduction reaction are balance. Add the 2 equations together. Exclude the electrons.